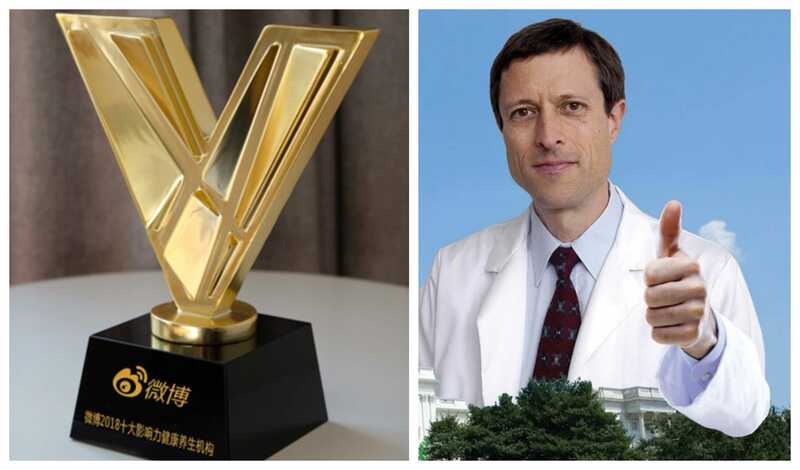 The Physicians Committee for Responsible Medicine (PCRM) - which is led by top plant-based physician Dr. Neal Barnard - has been recognized as one of China's top 10 health influencers for 2018. PCRM was presented an award by Chinese social media platform Weibo during 2018's 'V Influence Summit' in Beijing. The award follows a national Chinese tour by PCRM program specialist Jia Xu, Ph.D., who gave talks about the power of a plant-based diet to prevent certain diseases. "With rising meat consumption in China - and rising rates of diet-related diseases - it's a more important message now than ever," Dr. Xu said. "The Physicians Committee offers various programs throughout China to spread the message of plant-based diets for disease prevention, including lecture tours at medical schools, hospitals, businesses, and other venues," said a statement by PCRM. "This July, the Physicians Committee lectured to more than 19,000 people in 15 cities. "The Physicians Committee also offers a free Mandarin-language 21-Day Vegan Kickstart program and mobile app. The Kickstart program helps people transition to a plant-based diet with daily recipes, cooking videos, a ready-made shopping list, and nutrition information. "The Chinese Kickstart program also has a presence on Weibo, which allows Physicians Committee staff to connect with people throughout China to share health news, infographics, nutrition fact sheets, recipes, tips, and more."